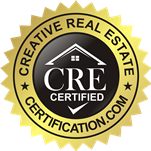 Sacramento, California's #1 House Buyer! In life, there is nothing more important than first impressions; same goes for when you are selling your house. A buyer wants to be excited when they drive up to their home. 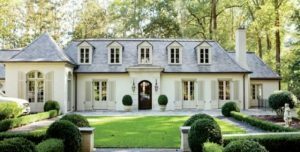 You don’t want your home’s first impression to include weeds, dead flowers, rusty street numbers, or broken porch furniture. If your home looks like this from the outside, more than likely, the buyer will not go into the inside. It is so unfortunate when a seller doesn’t take the time to make simple fixes to the exterior of the home, as they are running off many buyers. The first thing to do, is grab a notepad, call a trusted friend and ask them to stand with you outside of your home and give their honest opinion of what you should replace, fix, or add. Likely, they will be willing to give complete honesty, as you are selling your home so it won’t matter if they give you advice that you might not like, as they know you’ll be receptive to it. Switching out the address numbers on your home can make a very positive impact. Be sure to choose a font, color, and sheen that flows with the style of your home, otherwise it will look odd, and stand out in a bad way. It is very important to have a fresh paint of coat on the door. Perhaps you need to switch it entirely, depending on how bad of shape the door is in. Again, when choosing the color and sheen, go with what works with the exterior of your home. 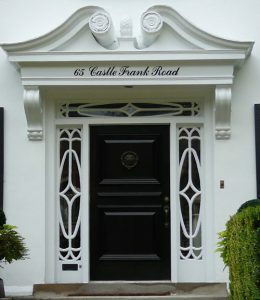 There are times when it might be a great idea to use a bold color on the door, for example if your home is painted all white. Porch furniture is very important, and shouldn’t be overlooked. If the porch is empty, you don’t need to spend thousands of dollars on new porch furniture. 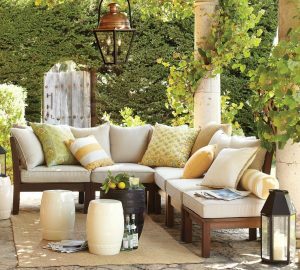 There are too many options when it comes to finding nice porch furniture that won’t cost a fortune. If you do have porch furniture that has worn paint, you can also just re-paint, or re-spray it yourself. Porch furniture is essential to making the exterior of the home look inviting. It is a good idea to consider updating lighting fixtures. If they don’t need to be updated, be sure to clean the glass on the inside and out, so that the glass is transparent instead of fuzzy. Some lighting options are sconces, pendant lights, or recessed lighting. There are so many options today; the point is to make sure that the lighting matches the style of the home. The side yard is equally as important as the front yard. Consider adding a nice fence, weeding, replace any broken stones, or even add a new path to the back yard. At the very least, make sure that the side yard looks neat, and well-kept. You do not usually want a ‘bare’ front yard. Adding plants and flowers are extremely important. You do not need to go overboard in this department and spend a lot of money. It only requires a quick trip to Home Depot or Lowe’s to get some fresh flowers and nice pots. Choose flowers that represent the area you live in. Examine your neighbors yards and try to blend in with theirs. You want the exterior of your home to look great, but you don’t want to make it stand out too much, and you also don’t want it to look exactly like your neighbors. It’s a fine line, but you’ll find it! The garage door (if you have one) is equally as important as the front door. If you need a new garage door altogether, or if it just needs fresh paint, now is the time to invest in those things. A garage with chipped paint or rust is not a good luck, and is easily corrected. 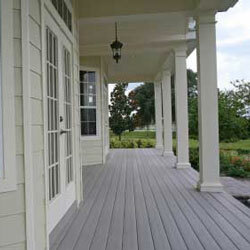 If your front porch is looking dull, and the old paint is cracking, it is important to re-do it. Perhaps it needs to be stripped and completely repainted, or it just needs fresh paint in general. Whatever the case, the front porch appearance is vital. This is something many sellers overlook. New door knockers and knobs are not expensive, and will easily spruce up the exterior of the home. Hi! Great article. I’m not selling my house right now, but I want to change the lighting fixtures on the porch. I do want to purchase lighting that I won’t have to change again, to where if I decide to sell my house I won’t need to update. What kind of lighting should I choose? First and foremost, I would choose the lighting based upon the style of the home, and those surrounding it. You don’t want to terribly stand out from your neighbors, but you also do not want your lighting to look exactly like theirs. I cannot tell you exactly what I would do, as I have not seen the exterior of your home, and the size of the porch has an impact on which type of lighting to choose. If the porch is very spacious, I would consider doing pendants, and larger lighting. You don’t want a large porch with tiny porch lighting. 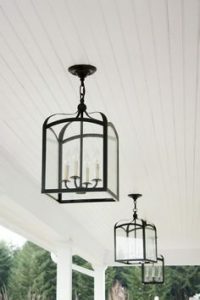 Conversely, if you have a rather small porch I would choose two sconces on the side of the doors to balance it out, and use recessed lighting on the ceilings.